Home favorites Summer 2012 Favorites! It's that time again! I'm back with another favorites for May! I've got a good amount of products to share with you this time, hope you enjoy! My Favorites for Summer - First off, sorry it was such a long video, but I had four months worth of favorites to go through. 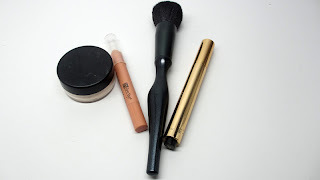 This time around, I also included items I used consistently throughout the summer, which also happens to consist of many Holy Grail/Must-Have Items. Anastasia Eyeshadow Duo - I am really impressed with Anastasia products. Seriously though, the Anastasia eyeshadows are no joke. They are pigmented, smooth, and have amazing colors. The quality is top of the line. I absolutely am in love with this eyeshadow duo - the colors are so me and the apply wonderfully - seriously, it's worth trying. Bourjois Eyeshadow - This warm red toned metallic brown is also a dream. It's a go-to shadow for me, love! Preo Lash Curler - I've mentioned this curler multiple times before. It's perfect for lifting a droopy false lash and merging it with your real lashes - a true must-have in my kit and personal makeup bag. Tarte Brow Gel Liner - I picked this up during the Friends & Family Sale. It's the same color and brand as my HG Target Brow Pencil and this product doesn't disappoint. You only need a little, it's a great consistency and lasts all day. Wet N Wild Gel Liner - This gel liner is super affordable, really dark and actually works. Thumbs up! Helen of Troy 1.5 inch Curling Iron- I'm so glad I upgraded to a larger curling iron. It gives me a really pretty curled look in a quarter of the time. It's great for longer, thicker hair. Babyliss Hot Curlers - I use these all the time...they're great for effortless glamorous curls. 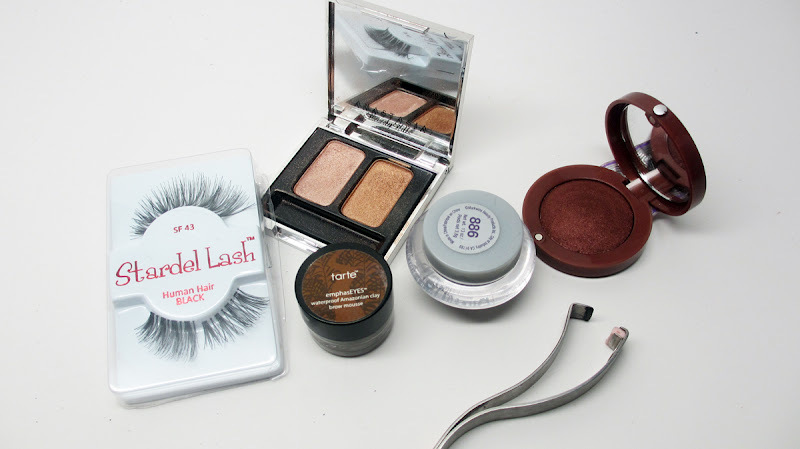 Put them on before your makeup, do your face, take em out and you're ready to go. Elnett Unscented Hair Spray - If you use a hair spray to set curls, this is a must-have! It doesn't weigh them down and sets them even through brush-outs. 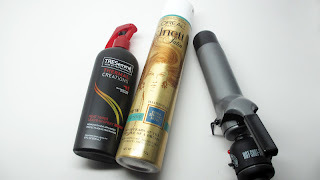 Tresemme Heat Tamer Spray - I'm already on my second bottle of this spray. You get a lot for a cheap price and it smells great. Sonia Kashuk Tinted Moisturizer in Tan - I really love this product. It can be built up to medium coverage but doesn't look cakey. I love the dewy finish and the shade is right on. Wet N Wild Blushes - These blushes are just like their eyeshadows, they don't disappoint! I got two incredibly pigmented matte colors that would work on every skin tone. They're a steal! Sonia Kashuk Blush Brush - This brush reminds me of the MAC 109 but larger, denser, softer and doesn't shed! 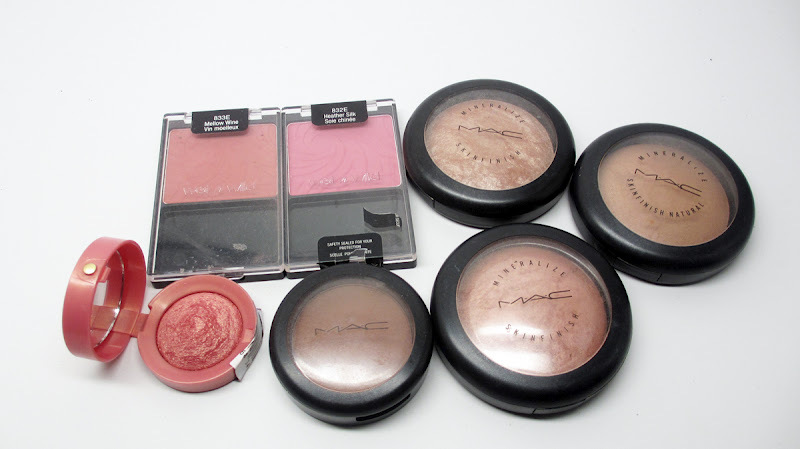 It's great for buffing out product and if you have a more sheer blush, it gives you maximum color pay-off. Bourjois Blush in L'ilas D'Or: Bourjois has amazing baked products. This blush is a super pretty pink with gold shimmer. You don't need an extra highlight product to give you glow. MAC Blunt Blush - This is my HG contour color, looks great on women of color. MAC Soft N Gentle - I've been using this highlight for years. It is absolutely gorgeous and the product will last you forever. MAC MSF Natural in Medium Dark - This is an oldie but a goodie. It's great for setting foundation and it always seems to make my mis-matching base match my skin a lot better. Ben Nye Cream Corrector Crayon in Medium/Tattoo Cover - Another HG product, this is awesome for correcting undereye circles. You literally draw it on, it gives max coverage and it's a little dryer in consistency so it creases less. YSL Touche Eclat #2 - This product is expensive but actually work it. It's a concealer but I use it to highlight. I love the thin, super blendable consistency, it looks just like skin. Ben Nye Banana Powder - This product has been super popular on YouTube lately. I'm glad I have it. MAC Charged Water - I love this stuff. It's really great for moisturizing the face, even more than fix+. I use it to wet my brushes prior to makeup application for a smoother finish as well. Neutrogena Nighttime Cleansing Cloths - These wipes not only take off all your makeup, but they smell like babies! Reminds me of Johnson & Johnson baby products, love! Jurlique Skincare - This line has been really good to my skin the last few months, especially the herbal recovery gel. It really gives my skin a glow and keeps it soft and moisturized. MAC Refined Zone Treatment - Finally something that helps diffuse the huge pores on my nose! 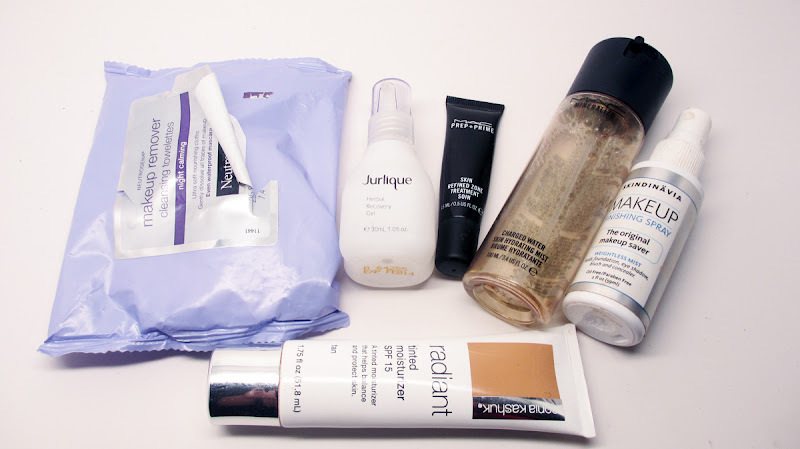 MAC Prep and Prime Refined Zone Treatment - If you have huge pores like me, this will literally blur them away. I use this on my nose and it makes a huge difference. You apply it like a primer. Anastasia Gloss - I thought this would be a favorite. The color is actually a bright hot pink not red like in the picture. It has a super cool plastic palette applicator but honestly the lipgloss runs out of my lips everytime I wear it. What a bummer. Sleek Aquamarine Pencil - This pencil is such a pretty girl, alas it's way to hard and stiff to work gently around the eye area. Hope you all enjoyed! I'm going to try and get back with my monthly favorites routine. I've already got some for September, stay tuned! FTC Disclosure: Some of these products have been offered for review in the past or present and some of them purchased myself. However, these are my honest opinions and the post is not sponsored. 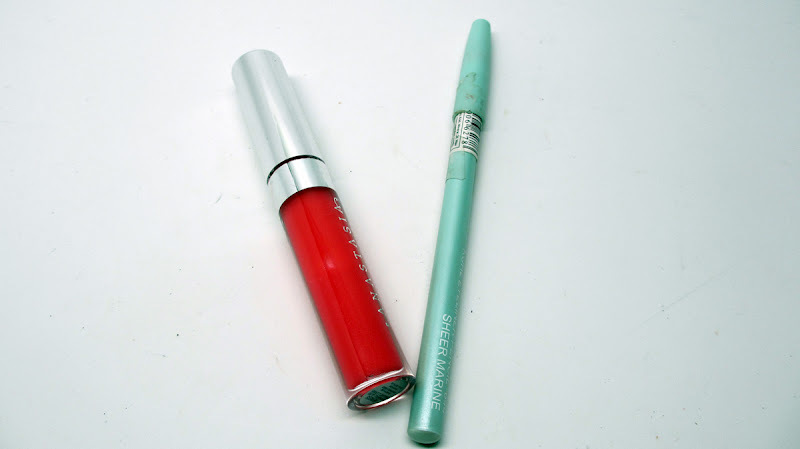 I really love the Wet n wild gel liner too! I have been searching for it for months and I finally found it at KMart. I have to try out the blushes. I really wanted to try the Sonia Kashuk tinted moisturizer, but tan is the only shade it goes up to. I'm a NC44 in Mac and I was told the tan moisturizer would be too light! What do you think?